We just love to shop, don’t we? Unfortunately, sometimes the items or products that we want are not available in our home country, or it is available overseas at a lower price. It’s usually something that you spot online while doing some casual browsing; it’s that gorgeous dress that you know you were born to wear, that really cool gadget that you know would change your life, or that really pretty decorative item that you know would just complete your living room. The problem is now you have to deal with ordering that item, making sure that you are buying it from a reliable source, and then worry about it not being packaged properly, and then wait (im)patiently for it to be shipped over to your doorstep, which seems to always take forever. ShopandBox is a website that aims to change that by providing a platform for shoppers to shop like a local, globally. Shoppers use the website to list what are the items that they want and the country that they would like to buy the items from. After that, they are connected with their very own personal shoppers from that country. These personal shoppers, or also known as Boxers, will look for the best deals to purchase those items, box them up, and ship it over to you. There are Boxers from various countries, such as Japan, Korean, Hong Kong, Singapore, Malaysia, the U. S., and more, all on standby to receive your orders and requests. This concept of peer-to-peer shopping allows shoppers to connect with other experienced shoppers from other countries, really building bridges between the countries all for the name of shopping. It’s also assuring to know that all the Boxers have been vetted by ShopandBox and are not only shoppers themselves, but also am dedicated and thorough in searching for your items and getting them safely to you. What can be bought via ShopandBox? Shoppers can browse through the top selling items, or look at the wide range of categories (ranging from cosmetics, jewellery, shoes, sports, and many more) of the boxes of other shoppers around the world, or they can take a chance and choose something that is personally recommended by the boxers themselves. One popular item that is being bought from Japan is the Nexus smartphone. 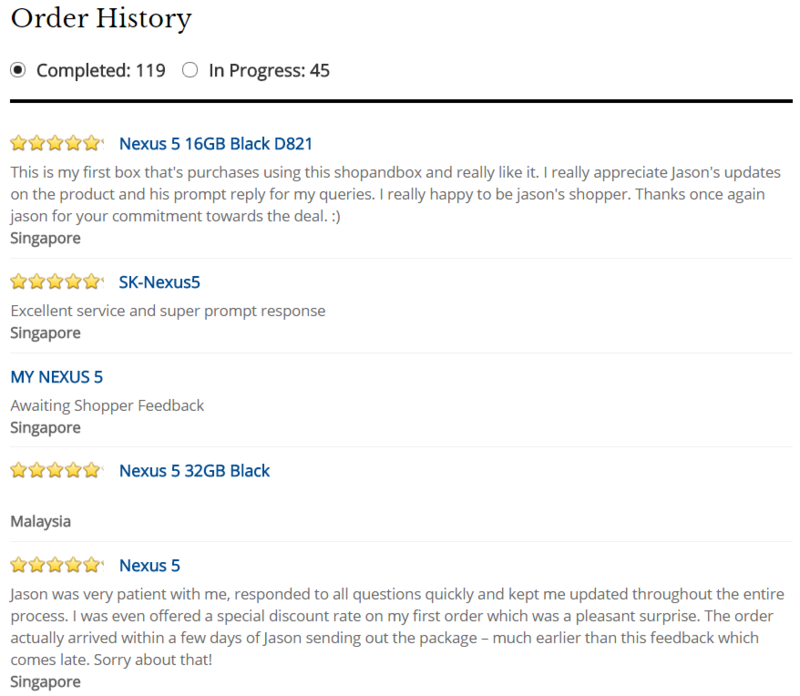 Japan Boxer, Jason has completed 119 orders so far, and the majority of those orders are the Nexus 5. Another shopper from Australia bought beer towers and seems to be very satisfied with the service and the item. With the help of the order history on each Boxer’s profile page, users of the website will be able to evaluate the previous experience of the Boxer and also have a look at what other shoppers are ordering from that Boxer’s country. Users can add as many items as they want to their wishlist that will be sent to a Boxer, and those items will not be chargeable at this point. 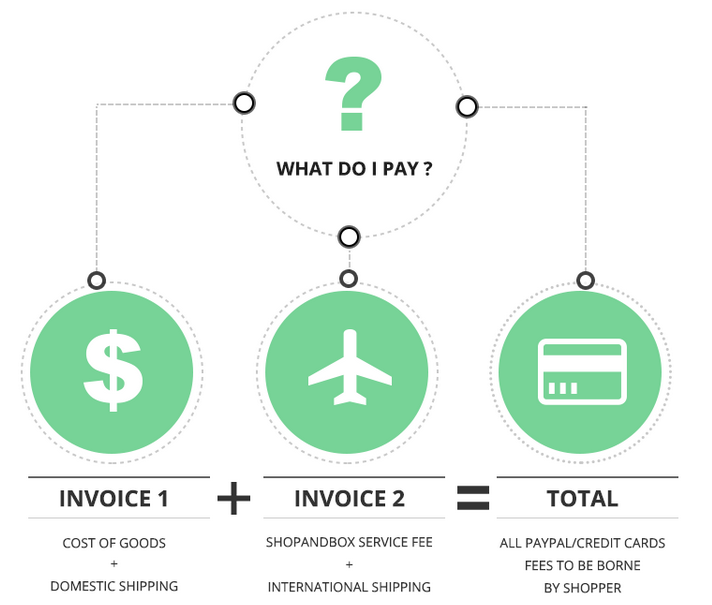 Only after the Boxer has contacted the user and confirmed the purchases, then the first invoice which includes the cost of goods and domestic shipping/taxes (if any) will be sent. After payment, the Boxer will receive your shopping and consolidate the items into one box without any extra cost. Finally, with the box ready, users will be notified and then can proceed to choose their preferred shipping method along with the second invoice. 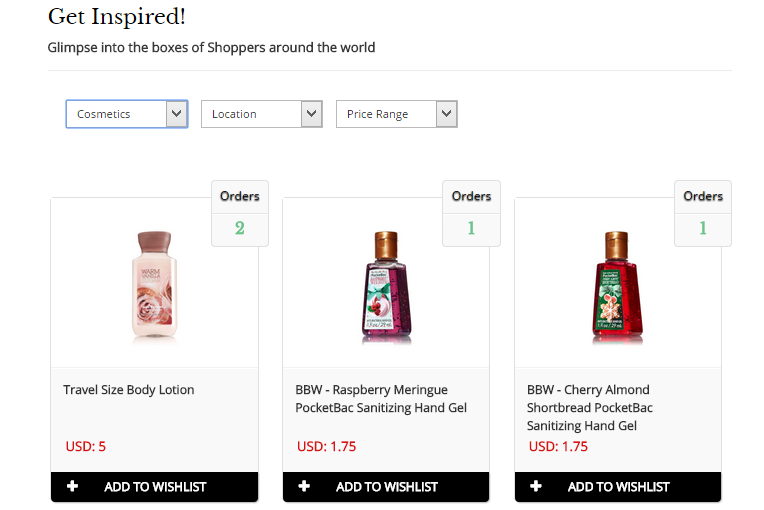 ShopandBox has been around for nearly 2 years, having first launched in February 2013. And although there seems to be some feedback from users on their Facebook page regarding the occasional ‘is the website down?’ problem, reviews so far has been positive for the respective Boxers. It would definitely be interesting to see how this service would be embraced by more shoppers, or would traditional shoppers still stick to the brick and mortar method of shopping?